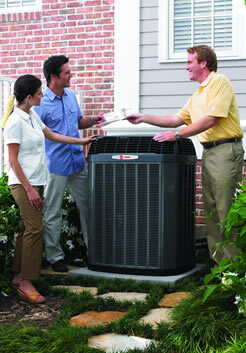 Today’s air conditioners are more comfortable and efficient then ever. Whatever size your home, whenever you need cool, comfortable, cleaner air, Wiesbrook is dedicated to providing the very best investment you can make in ensuring the comfort of you and your family. And, when purchasing a central air conditioning system, check the SEER rating. The SEER, or Seasonal Energy Efficiency Ratio, rating. Like its “mpg” counterpart in the automotive industry, the SEER gives an indication of the performance efficiency of the system. The higher the SEER, the more efficient the unit. And, the more efficient the unit, the lower the operating costs. Click on either picture above to be linked to the Official Trane Website to help you choose from the various Trane Air Conditioners. 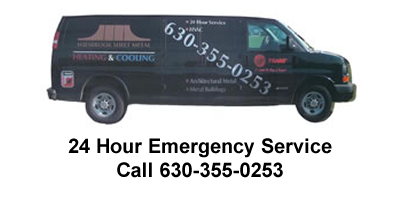 To repair your existing equipment or have our salesman review options to replace your equipment, please call Wiesbrook Heating and Cooling today.